In stock -This product will ship today if ordered within the next 4 hours and 39 minutes. Bismuth oxychloride, mica, CI 77019, zinc oxide CI 77947, titanium dioxide CI 77891, kaolin, silica, iron oxides CI 77491, CI 77492, CI 77499, zinc stearate, Vitis vinifera and Actinidia chinensis (Vinanza Performance Plus grape seed & kiwifruit skim) extract, Simmondsia Chinensis (jojoba seed) oil, ascorbic acid, tocopherol (Vitamin E). Sprinkle a small amount of foundation into the lid of the pot. 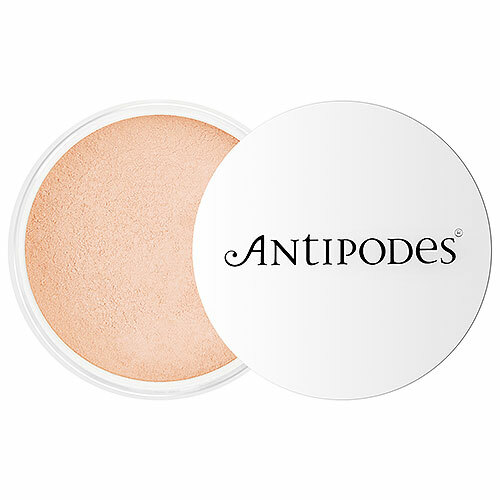 Cover your Antipodes natural hair kabuki brush with foundation, and tap off excess before applying to your freshly moisturised skin in circular movements. For total skin perfection, simply layer more foundation on to problem areas. Colour and texture may vary between batches due to pure natural content. 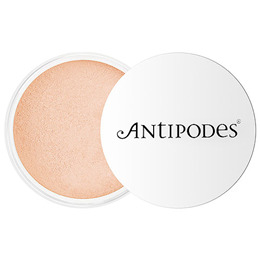 Below are reviews of Antipodes Mineral Foundation Pale Pink SPF 15 - 6.5g by bodykind customers. If you have tried this product we'd love to hear what you think so please leave a review.